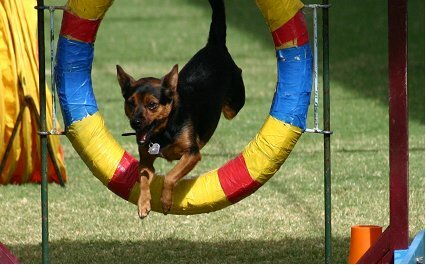 Announcement of Open Meeting for the DOGS NSW Members who compete in Agility. An Open Meeting will be held on Saturday 23 February 2019 to present the DOGS NSW submission for the potential rule changes for ANKC Ltd Agility for 2021. Meeting commences at 2pm sharp at the DOGS NSW Complex, 44 Luddenham Road, Orchard Hills, in the Rotunda. DOGS NSW members who compete in Agility and attend the meeting are asked to bring their current membership card or online details with them. An option to join via Zoom for regional members and those who are unable to attend has been provided. Please register your intent to attend the meeting here for all of the details. ANKC Ltd have announced that the process for potential rule changes for ANKC Agility for 2021 are to commence now. The potential changes are to affect the rules governing Agility Rules, Agility Games Rules and Agility Guidelines for Judges, relevant documents can be found in the files section. 31st December, 2018 – approved revised closing date for rule change proposals from members of Dogs NSW. 28th February 2019 – closing date for proposed changes to be submitted by each state to ANKC Ltd Administrator. June/July 2019 – ANKC Ltd Administrator to distribute copies of all proposals received to all Member Bodies. November 2020 – New rules made available. If you have a suggestion for a rule change. 3. Provide a rational efor your change. 4. Please send it through to Frankie Moore (frmoore@live.com.au) to collate. In a Microsoft Word Document, copy and paste the current rule, then put (NSW) at the start of your new proposal, if there is a deletion then put a strike through it, if there is additional information to be added the underline this. The changes should be in blue and then your rationale should be in red. Exhibits may be required to be inspected or vetted. (NSW) Exhibits may will be required to be inspected or vetted by a veterinarian. RATIONALE The health and wellbeing of dogs is paramount and ensuring that dogs are vetted or inspected by a trained veterinarian prior to completing will reduce the number of injuries sustained. Note: Previous versions of the rules can be seen below and on the ANKC website. The Agility / Games rules attached to this website, show changes made (highlighted in yellow). For unhighlighted verison log onto ANKC Website. Combination obstacle must be completed, with or without fault. Prior to a dog competing in a trial, an Official Height Card, signed by TWO (ANKC Ltd) Agility Judges or other persons approved by the Canine Control specifying the height or the height category of the dog must be obtained. The height of the dog is to be measured at the highest point of the withers no more than two months before that trial. The Height Card is valid for the life of the dog if they are over 2 years old or the dog is measured at the 600 Height Category. If the dog is under 2 years old a temporary height card will be issued and the dog will be required to be remeasured when the dog is 2 years of age. A permanent Height Card would then be issued. Any pass cards issued to the dog during the period of the temporary height card will remain valid. If a dog that has been measured is not 2 years old as of the 1st. of January 2018 (with the exception of dogs in the 600 height category) then it will be required to be re-measured when it reaches the age of 2 years of age. that a copy be given in advance to Trial Scribe.